Sunshine, water parks, and most importantly BARBECUES!!! 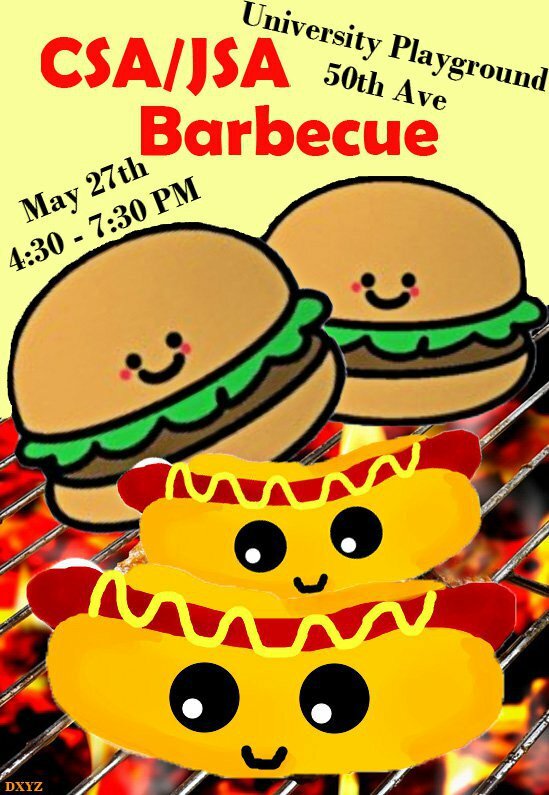 Join two of your favorite RSOs, Japanese Student Association and Chinese Student Association for our annual Barbecue! Come for a day of sun (hopefully), burgers, hot dogs, chips, and soft drinks. Frisbees, swings, footballs, water balloons, food, cool people, and MORE we have it all! ^ You know you can’t resist that price, or the cute event picture! JSA has decided to capitalize on the good weather this week and instead of selling Krispy Kreme doughnuts, we will be selling Mee Sum bubble tea on FRIDAY, MAY 20 from 11.30-3.30! COME TO RED SQUARE ON FRIDAY FOR JAPANESE MILK TEA AND TARO MILK TEA! They’re only $3 each and a lot closer than the Ave! Come find JSA’s booth on Red Square for delicious foods at Asian Student Commision’s Bite of Asia!! We’ll be selling veggie yakisoba from Kiku’s Tempura House and everyone’s favorite portable Japanese drink, Ramune. We’ll also be selling our Japan Relief Shirts during Bite of Asia!! Please check this link for more details on that!